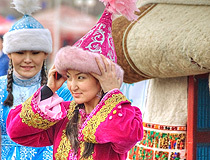 A distinctive national characteristic of Kazakhstan people is their exceptional hospitality. The host will be quite offended if the guest does not have some refreshment offered him or at least a cup of traditional tea. 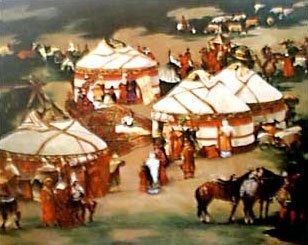 At one time, the nomadic Kazakhs lived in yurts (cone-shaped tents of white felt stretched over a framework of wooden poles). Yurts are light and easy to assemble, dismantle and carry around. Today yurts have lost their former importance and are only used as temporary dwellings of chabans (shepherds) at remote seasonal pastures. 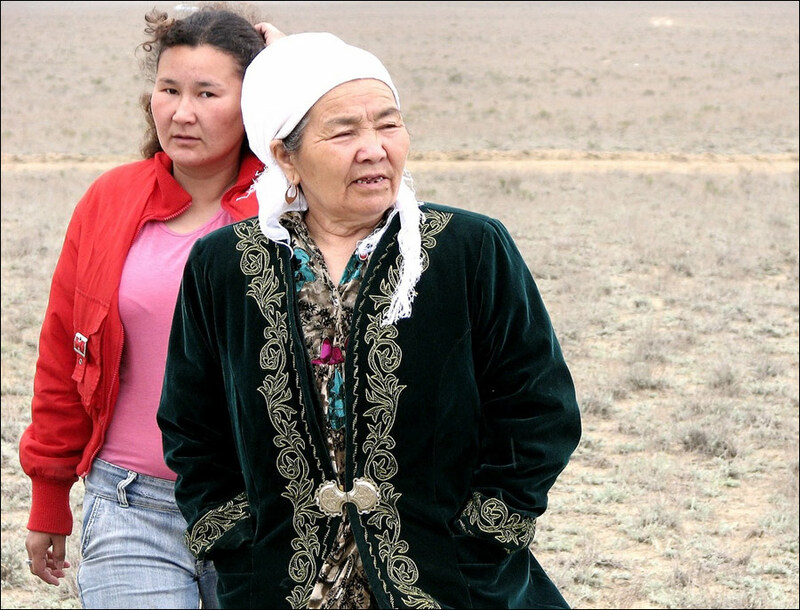 Kazakhstan chabans and their families have their permanent homes in rural settlements, where they live in modern houses. The yurts, in fact, have nowadays acquired a new look. They are covered with beautiful fabrics, have more room and are supplied with electricity from portable diesel-electric sets. 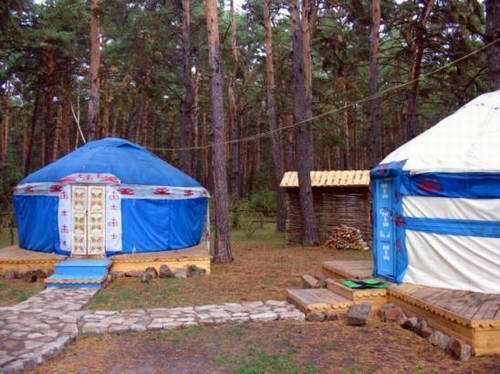 Radio and television sets, portable gas stoves and other household appliances have become a common sight in Kazakhstan yurts. 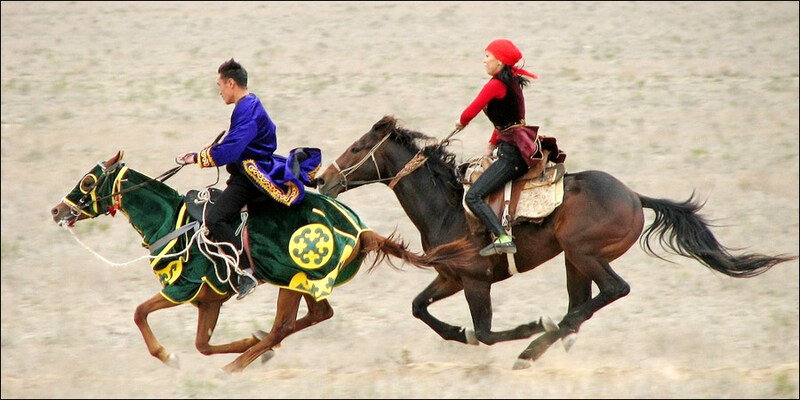 Now try to imagine that you are a guest in a Kazakhstan yurt while traveling across Kazakhstan steppe. 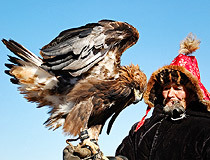 This will help you gain an insight into the character of Kazakhstan people. And should you be a guest of a Kazakhstan family, it will make it easier for you to participate in the ceremonies of the reception, even if you are received in an ordinary flat. 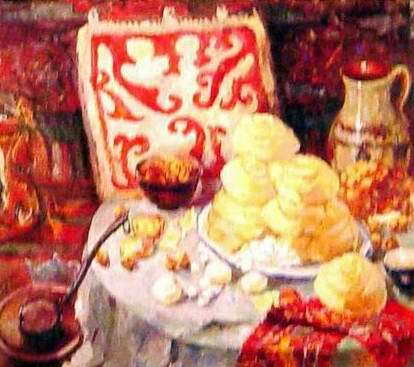 It will also give you an idea of some of the specialties of Kazakhstan food and cuisine. So, you are flinging open the embroidered felt drapes that cover the entrance to the yurt. Everyone stands up at once, thus showing respect for the entering guest even though he may be a stranger. You are greeted with a smile and a handshake and are shown to the tor - a place of honor where the guest is to be seated. Usually it is against the wall facing the entrance. 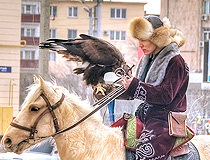 Putting many questions to the visitor is considered bad manners in Kazakhstan. He must have a rest after his journey and is treated to a drink of kumiss, a fermented beverage made from mare’s milk, which is both refreshing and invigorating, and is served in a porcelain piala (Oriental teacup) or in a painted wooden cup. Only after these preliminaries the guest may, if he wishes, tell the host who he is, where he comes from and where he is heading. Whether you are a chance traveler who has dropped in for a short rest or a specially invited guest, the host and his family will get busy preparing a konakasy, a special dinner in your honor. A young foal or lamb, or, if you have brought good news, even a white camel youngling will be killed to express the joy of the occasion. Then they will spread a dastarkhan, a tablecloth as spacious as the steppe itself, on the floor in the center of the yurt and lavishly cover it with choice dishes. beshbarmak (a dressed carcass of a ram or a foal boiled in a cauldron). In a word, you will be treated to every gourmet specialty that Kazakhstan cuisine has to offer. Of course, the dastarkhan is a serious test of the hostess’ culinary talents. At the same time it is also an expression of the host’s cordiality and generosity. Often everyone in the neighborhood who is noted for eloquence, singing or playing musical instruments is invited to such dinners. “Why such a feast?” you may ask. There are many Kazakhstan sayings that may serve as an answer to this question: “You will never forget those with whom you once had a heart-to-heart talk at a good dastarkhan”; “You must send your best wishes to those whom you once entertained in your home to the end of your life”. 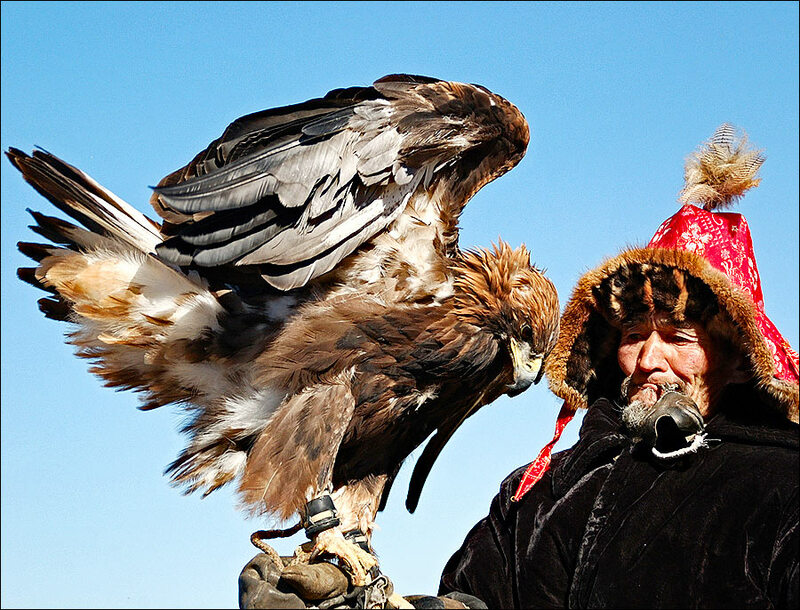 Kazakhstan dastarkhan not only satisfies your thirst and hunger, it also lifts up your spirit. 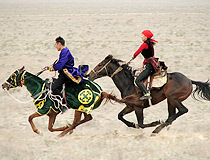 People learn much about one another at a dastarkhan. And the word “hospitality” means not only a heart meal accompanied by merrymaking and laughter: it means above all a cordial conversation with the guest. 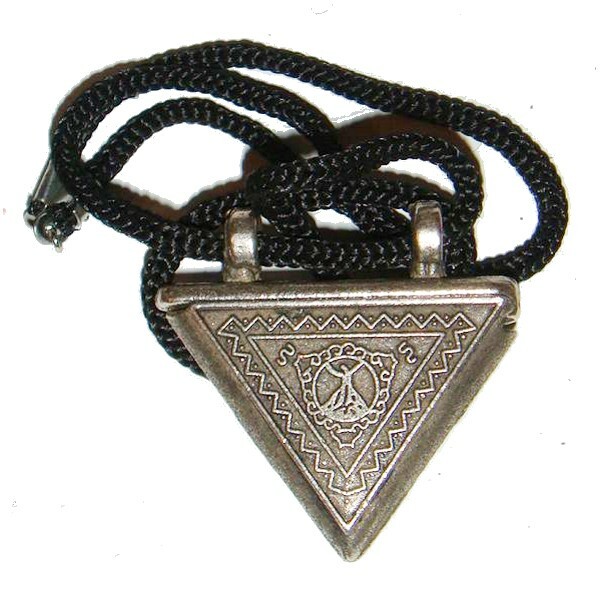 Deborah asks: What is considered a good luck charm in Kazakstan? 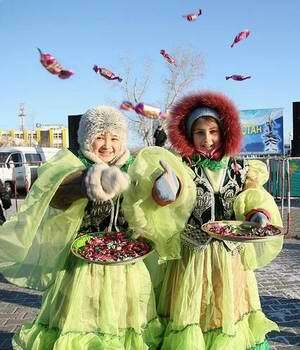 Kazakh people traditional charms («tumar») are becoming more and more popular in modern Kazakhstan. The usual form is triangular and sometimes square. 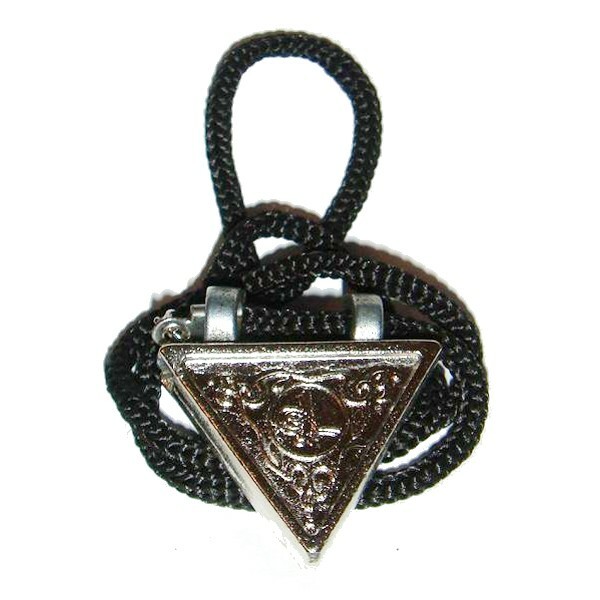 Tumars are made of valuable cloth, leather, silver. 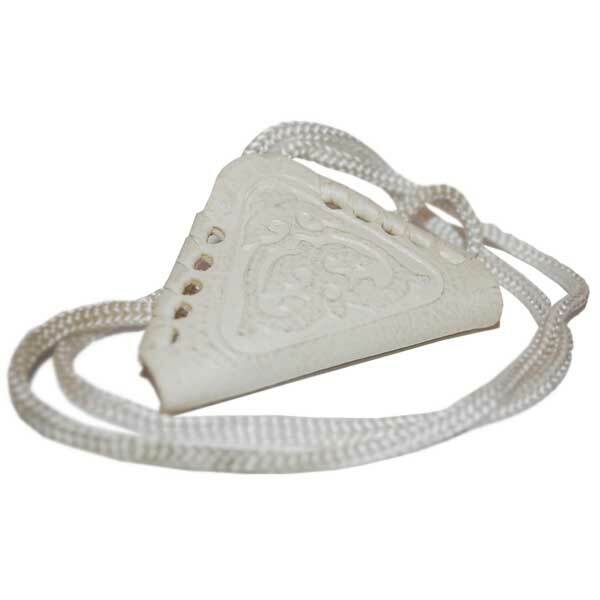 There is also shaman invocation or the Koran sura or the pinch of Holy Land soil or salt inside the charm. And here are several photos of the tumars (Tumar #1, Tumar #2, Tumar #3). This website is informative and interesting. Thank you!